Fresh peaches are everywhere this time of year and they smell amazing! So why not use them to make this delicious summer dish! I had never made peach cobbler before this (I'm more of a chocolate girl) but Matt said it was one of his favorites so I decided to give it a try. Luckily it turned out great! You could even use the same recipe but swap out the peaches for other mixed berries. I may have to try this again for the 4th of July with blueberries and raspberries. I'll let you know how it turns out! Combine flour, 1 cup sugar, baking powder and salt; add milk, stirring just until dry ingredients are moistened. Pour batter over butter (do not stir). Bring remaining 1 cup sugar, peach slices and lemon juice to a boil over high heat, stirring constantly; pour over batter (do not stir). Sprinkle with cinnamon, if desired. Bake at 375 degrees for 40 to 45 minutes or until golden brown. 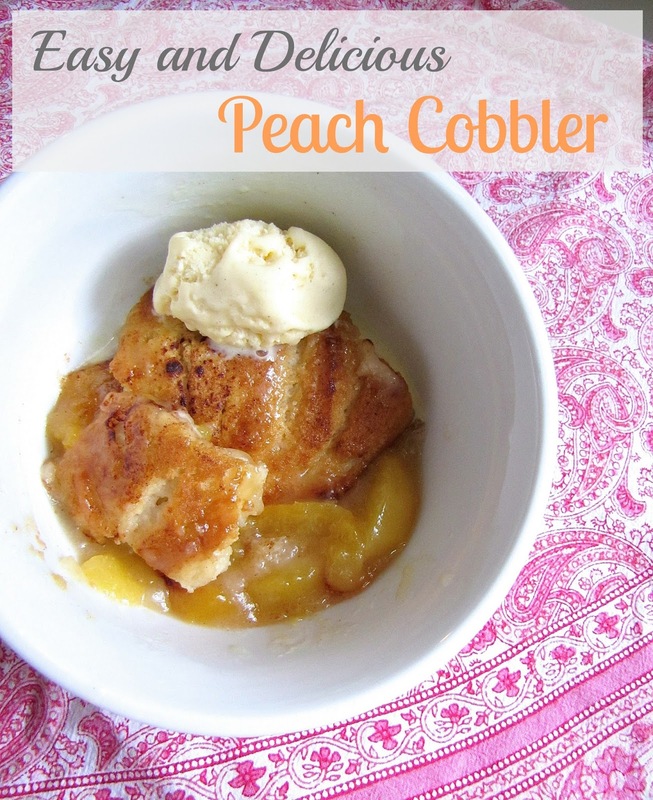 Serve cobbler warm with vanilla ice cream. It's even great cold the next morning!